The ASK 14 was designed by the famous Rudolf Kaiser. It is motorglider with the flight characteristics of the K-6E and self-launch capability. 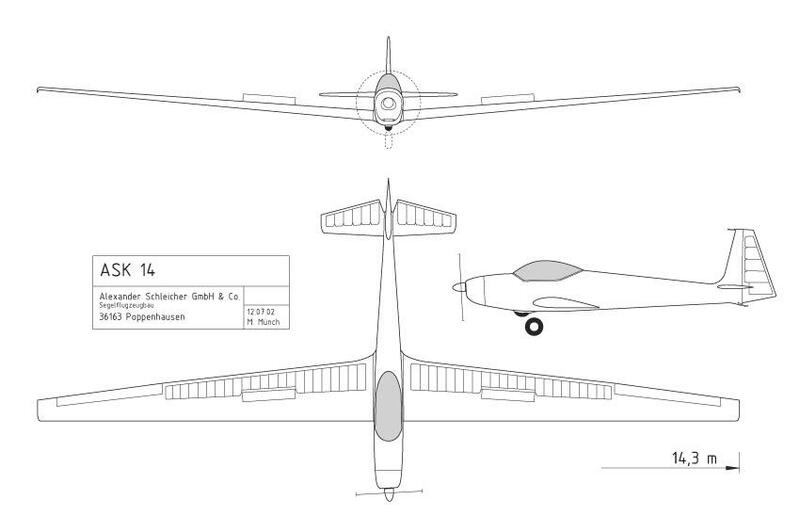 From 1967 to 1972, 62 ASK 14 motorgliders were built, additional two K12 motorgliders (very similar), by Alexander Schleicher factory in Poppenhausen Germany. An additional two motorgliders were built privately under the Schleicher factory license bringing the total to 66. The wings are from the K-6E, but that were shortened to 14.3 meters. The aft fuselage was also from the K-6E with the full moving elevator, but the forward fuselage was redesigned for the low wing configuration, retractable gear and the engine. The ASK 14 has a 26 hp Göbler Hirth F 10 engine with a feathering Hoffmann propeller. The pilot can feather the propeller after launch and soar with a glider ratio of 28:1. A very popular design among the pilots makes it the perfect vintage motorglider. This article is already 36541 Once seen.